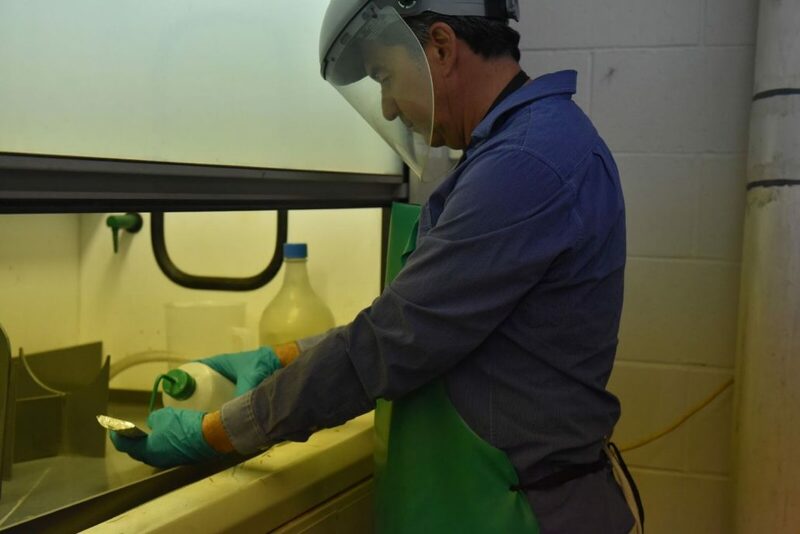 Fenix Advanced Materials, a Clean Technology Ultra-High Purity Metals manufacturer located in Trail, is hiring for a Full-Time Production Technician. The Production Technician will be responsible to learn all areas of production and process operations. Must be a problem solver, capable of building/assembling equipment, capable of handling fragile products, work safely with chemicals and be a Team player but also work well independently. Please send resume with cover letter to sharon@fenixam.com. No phone calls please. Resumes will be accepted until 4:30pm Friday January 11, 2019. 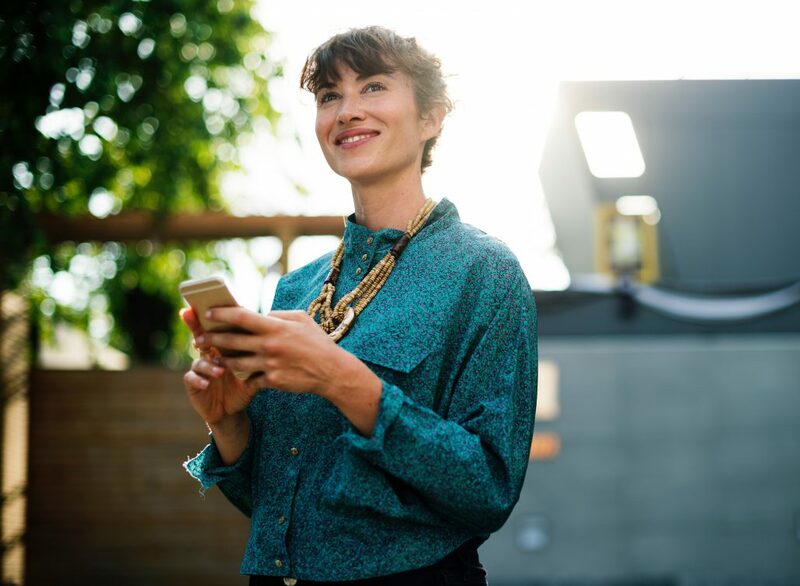 The Kootenays offer an attractive combination of affordability, lifestyle, and increasing opportunity making it a no-brainer for Millenials from the Lower Mainland who want to get ahead. Smaller interior communities, particularly those gaining a reputation for a supportive startup culture like the Kootenays, are attracting qualified, experienced tech and knowledge workers. “What we’ve started seeing was a little bit of an interesting migration, actually, of our team members moving to smaller communities,” said Greg Malpass, CEO and founder of technology company Traction on Demand who employs about 250 workers in Metro Vancouver. This spring Traction on Demand will follow workers to B.C.’s interior, specifically the West Kootenay, in an effort to retain and attract employees feeling overwhelmed by the cost of living in the Lower Mainland. A new office will open in Malpass’ hometown of Nelson, B.C., where an initial “pod” of 10 workers – half of whom will be hired locally – will be based. The CEO’s vision is to partner with nearby Selkirk College and expand the remote office to a full “squad” of 25 workers. Malpass said any business advantage lost through smaller economies of scale will be regained by keeping workers who no longer find Vancouver to be the right fit. Kootenays communities a supportive environment for economic diversification through the technology sector. Tech entrepreneur Brad Pommen, who moved to Nelson eight years ago from Alberta, said it won’t be difficult to recruit tech talent in the West Kootenays. He founded the Nelson Tech Club shortly after his move, building it up to 500 members, of whom 20 to 50 meet every week to hear presenters discuss topics like artificial intelligence and find out who’s hiring locally. “You’ve got this lifestyle and technology mix that makes Traction on Demand very [suitable],” said Pommen, the lab director at Metallurgical Industrial Development Acceleration & Studies (MIDAS), an applied research, commercialization and digital fabrication training facility in neighbouring Trail, B.C. Meanwhile, Nelson-based Pacific Insight Electronics Corp. announced in early October it was laying off part of its workforce, placing workers on the job hunt. “There are a lot of talented people in that facility that would be directly [qualified] but there’s also a great pool from other regions that also might be shifting where they’re living now,” Pommen said. Software company Thoughtexchange, an hour’s drive from Nelson in Rossland, B.C., launched in the city five years ago. Its headcount has since ballooned from about a dozen to about 80 workers. And the i4C Innovation Centre, an innovation hub and commercialization facility, has built up a team of about a dozen workers since opening last year near Trail’s airport. “It was kind of quiet and slowly growing but in the last two, three years quite a few of us have startup companies that have grown into something,” said i4C Innovation CEO Pilar Portela, who oversees a 46,000-square-foot industrial internet of things lab and testing facility. The Columbia Basin Trust invested millions in building a fibre optic network in the region, providing access to high-speed internet for companies and residents and making it more practical for tech companies to launch in the West Kootenays. “If you understand how to do business using remote technologies … then you would be able to succeed anywhere,” Portela said. She said lower overhead costs for tech startups and lower housing costs for workers have also been driving growth in the region. “In the case of Traction on Demand, it is some of the pressures here in the Lower Mainland on housing and on childcare,” Jobs, Trade and Technology Minister Bruce Ralston told Business in Vancouver. The average Multiple Listing Service price for a home in the Kootenay region sits at $319,000 compared with $1.05 million in Greater Vancouver, according to the BC Real Estate Association’s third-quarter forecast. But Pommen noted that access to housing and commercial real estate can be hard to come by in Nelson’s core, where Traction on Demand plans to open. Malpass said there are tentative plans to operate out of the local Royal Canadian Legion and support veterans through training and education. As for overhead costs like salary, the CEO said he knows he can’t ask current employees to take a pay cut if they choose to relocate but the company may “slow” those particular workers’ wage growth for a period. i4C Innovation Centre has been nominated for the 2018 Inspirational Latin Awards in the Innovation and Sustainability Category. An initiative conceived two years ago to promote rural economic diversification in collaboration with existing traditional industry, i4C Innovation Centre is one of the fastest growing companies in the area and has been nominated for an Inspirational Latin Award in the category of Innovation and Sustainability. Incorporated in April of 2017, i4C Innovation opened their doors in late May 24 that same year. Even before i4C had officially launched, it had already met major milestones, including securing the 46,000 sq ft state-of-the-art building across the Trail airport through an alliance with the Columbia Basin Trust; was awarded a $1M fund in a joint collaboration with the regional economic development office, Lower Columbia Initiatives Corp.; and established the first links to Latin America. The initial goals for the first two years were easily surpassed within just the first year in operation. Instead of five full-time jobs, eleven were created; 17 of the 20 indirect employment opportunities were fulfilled; and, rather than relocating three growth stage companies, nine relocated from Canada and the United States as well as Brazil, Colombia, and Mexico. Even more impressive: blowing away the projected $1M VC fund in favour of $20M secured through an Alberta corporation to support i4C’s hub members. In Latin America, i4C continues to evolve with representatives in Brazil, Chile, Colombia, Costa Rica and Mexico. Currently, it is negotiating a deal to open a large facility in Paraguay. i4C Innovation Centre is one of the very few female-led and solely owned technology companies in Canada. Pilar Portela, an immigrant to Canada, has forged her way over the past 30 years proving that through dedication and collaboration, with the help of a clear business model, a sustainable and innovative organization can be achieved, even in a rural area such as Trail. 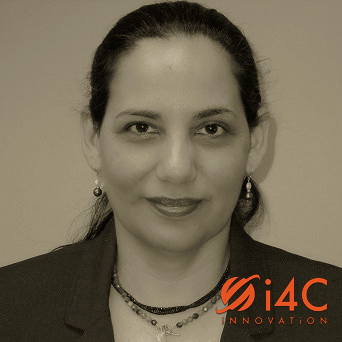 i4C Innovation proudly claims 75% of its employee roster as visible minorities, primarily Latin Americans, with over 5 languages spoken, including Spanish and Portuguese. 38% of the i4C employees are female, 13% have visible disabilities, 38% are over 50 years old and over 80% live rurally. i4C Innovation is focused on growth and sustainability. Their technological advances in the Industry 4.0 era include the development of environmental, water and wastewater sensors, naturally air-cooled and controlled environments for their servers, and the development of analytics platforms aimed at solutions for complex industrial and municipal problems. All these careful orchestrations allowed i4C to sell over $1.5M in the first year, allowing for a continued plan for additional growth in the year to follow as well as those to come. Inspirational Latin Awards is a program of Latincouver. 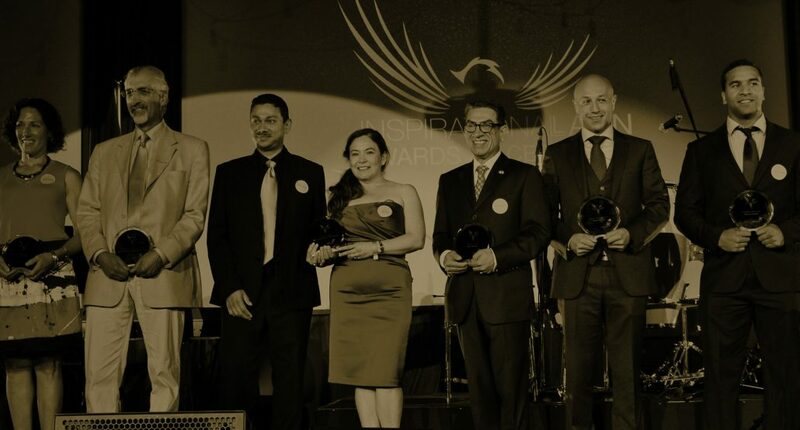 The Inspirational Latin Awards recognizes the outstanding achievements of individuals from the Latin American community in British Columbia. For people looking to explore and/or expand their skills, combining technology with creativity and artistry, the two-year Digital Arts & New Media program at Selkirk College is specifically geared to provide the skills necessary to gain a solid foundation in graphic arts, website development, video and sound production, animation and digital media. Program graduates leave with the skills required for advanced production techniques, effective project management and the new media business environment. 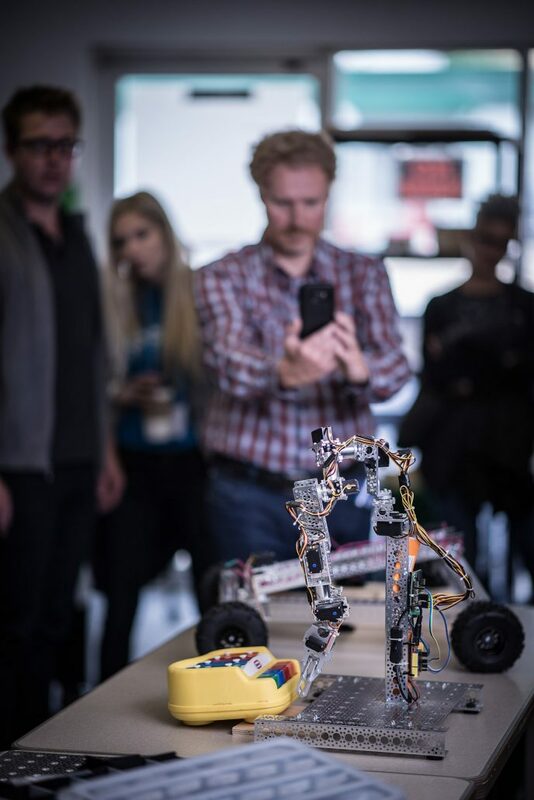 The program addresses rapid technological changes in the new media industry and encourages creative solutions in the production of original materials for the interactive education and training, advertising and marketing, and entertainment industries. Using skills acquired in this program, you will be able to maximize employability using a broad range of multimedia production skills. Small class sizes allow excellent accessibility to instructors and equipment. Many graduates of this program have gone on to become professionals in the multimedia field, while others have found this program useful as a stepping-stone towards further education in the digital arts. We all share the same goal to help business grow, strengthen our local economy and help our communities Thrive! 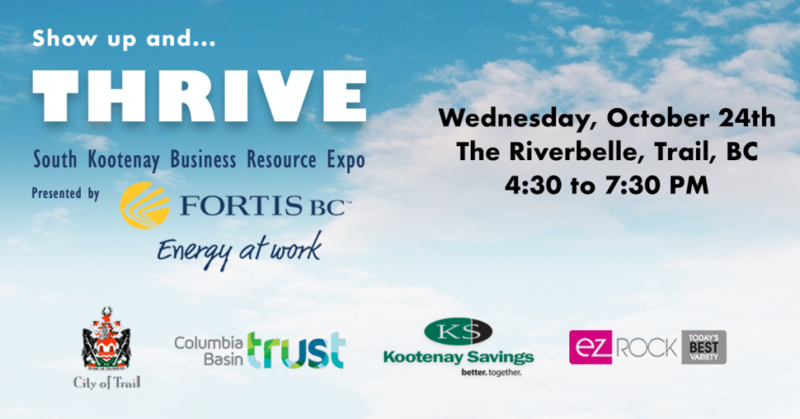 Help celebrate Small Business Week by participating in THRIVE, the 1st ever South Kootenay Business Resource Expo. This event is a collaboration between Community Futures Greater Trail, Lower Columbia Initiatives Corporation (LCIC), Trail & District Chamber of Commerce, and The Greater Trail Community Skills Centre. THRIVE is a FREE EVENT for the local business community, entrepreneurs, students, indigenous peoples, and anyone else needing help with their business ideas. This will be an excellent business networking opportunity, creating awareness and promoting your organization in a relaxed and social evening with refreshments. 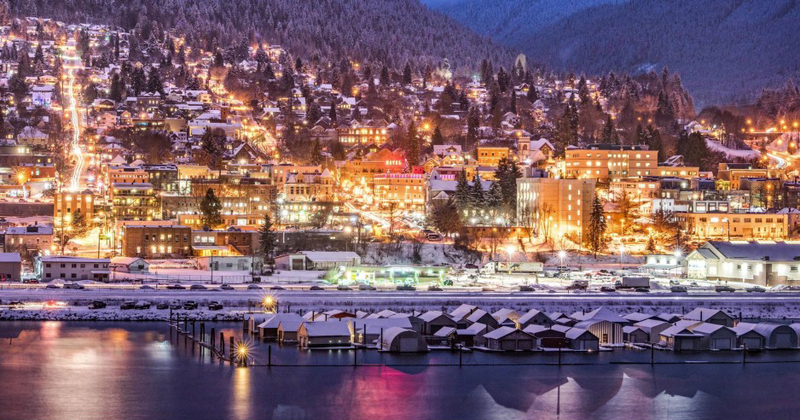 There’s also a terrific DOOR PRIZE: Dinner for 2 and a 1-night stay at the beautiful Josie Hotel in Rossland, BC! Contact Information: Loro Seymour – (250) 364-2595 ext. 21 or email.